It has been a long while since I put words to blog post. Actually did write something New Year’s Day but didn’t quite finish. On that day I was inspired by a speaker I heard on CBC radio named Rob Nash. His topic was ‘inner strength’. In a nutshell, his talk was on that power of the strength inside us we seldom recognize or access. And now it is March. I sit on a couch in Kimberley BC. Just spent a few moments searching for an image from the web to insert to show the beauty of this place but it seems I haven’t mastered that skill. Yes I could take a picture myself, but this teeny weeny computer I am working on has no outlet for inserting photo card or flash drive. My husband and I are here for an extended stay, actually arrived in January and have been skiing, pretty much every day, until a few days ago when there was a major melt, followed by a freeze. Now the mountain is enshrouded in ice. I did talk the big talk of wanting to learn to ski in all conditions, but the icy thing is unsettling in that I do not welcome bruises, or pains or potential jarring or tearing of tissue. So I sat out the last three days, venturaing out at intervals and quizzing people at the chairlift on the conditions. Most of them said, ‘It’s awful’. But there it is. Life is good. Not an original thought I realize. But here we are in Kimberley and this is significant for us anyway, because we plan to live here part time some day. Perhaps in two or three years. 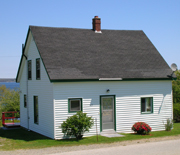 This will be a winter home, while continuing to live in Nova Scotia in the spring and winter. But hello anyway. Just that. My mind is/was searching for something significant or relevant or important to say. And voila. ‘Saved by the bell’ or in my case ‘ring’. The phone just rang. The hill gets a 6. So I am off to ski.